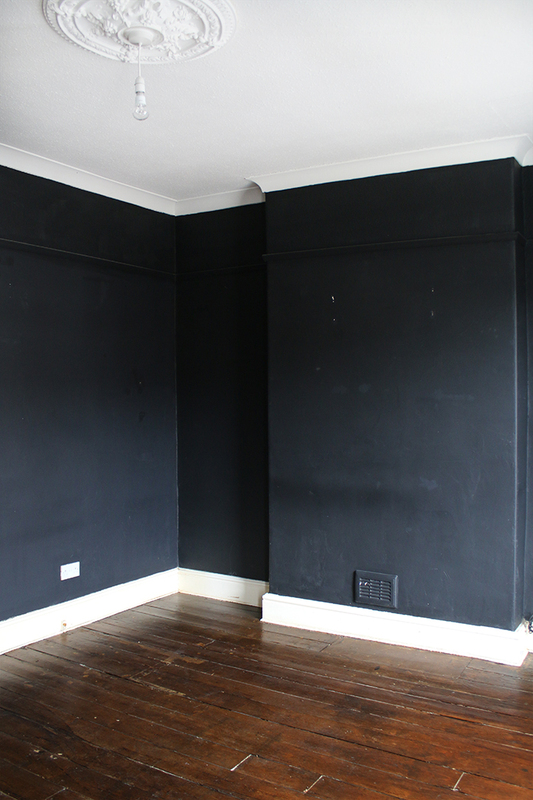 So, last week, I finally shared my monster of a post on our new home so you can see what it looked like as a blank canvas! 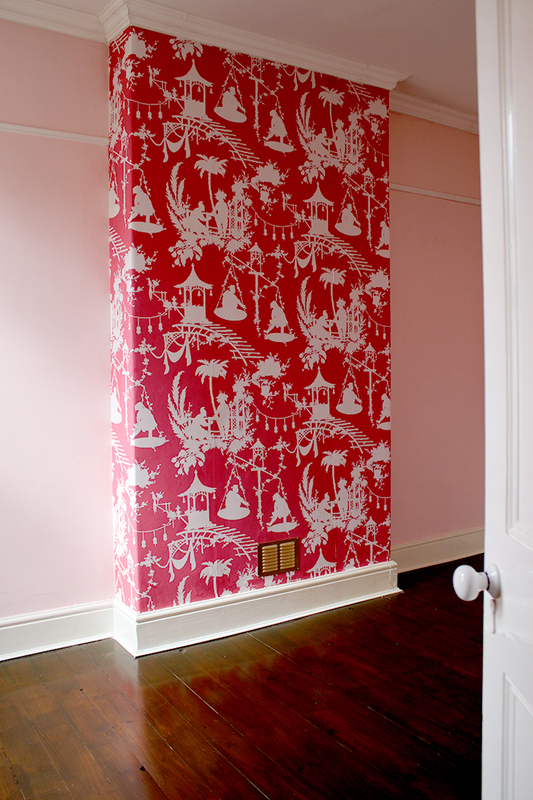 Today, I’m stepping a little bit backwards in time to share the experience we had of moving in. There’s little doubt that the entire process of selling your home and buying another is a mega stressful experience. The last few months have been trying but finally getting in here was absolutely always the end goal and on those days when nothing seemed to go smoothly, it was the thought of living here that got me through. While I did quite a lot of the packing myself, we knew that for the last real push, we were going to need to call on the experts to get us out the door and over the threshold to the new house. I made a lot of phone calls the week we exchanged contracts to get quotes and chat to various moving companies in the area. Meisha wasn’t stressed at all quite clearly. 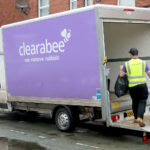 In my research, I happened upon Movingeverywhere – a Manchester-based moving company with great reviews on Trustpilot and a Which? Trusted Trader. I had a look through the reviews to see what people were saying when faced with longer-distance moves like we did. 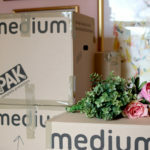 After all, it’s one thing moving the contents of a small flat from one side of town to another but entirely another when you are moving a 3-bed house worth of stuff to another area of the country. I liked what I read so gave them a call. Nick is the man in charge and I was delighted that he was the one who answered the phone and was the one I continued to deal with throughout the process. It’s a smaller, independent business but I often think you get such good personalised service when you are dealing directly with a company, rather than these huge national chains where you just feel like another cog in the works, ya know? He came around prior to the big day to assess how many trucks and how much space we’d need to ensure we could do the entire move in one journey. Nick checked his schedule, agreed they can handle the move for us on the date we needed them and recommended that we have his guys come out on Thursday, help us with the last of the packing, half load the truck (or trucks in our case!) and then on Friday morning, they would finish loading and we’d be on our way. Made sense to me and I liked the idea of them getting started the day before so it meant a lot less stress on the day of the move itself. His quote was really reasonable but even more than that, I felt he was really professional and thorough, answered all my questions without talking down to me (something I didn’t find with other companies I’d dealt with) and everything seemed very straightforward with no hidden costs. We decided to go ahead and book them. By means of full disclosure, once we decided to book them, when Nick found out what I did for a living, he offered a discounted rate in exchange for an honest review of their services on my blog which is what I’m doing today! 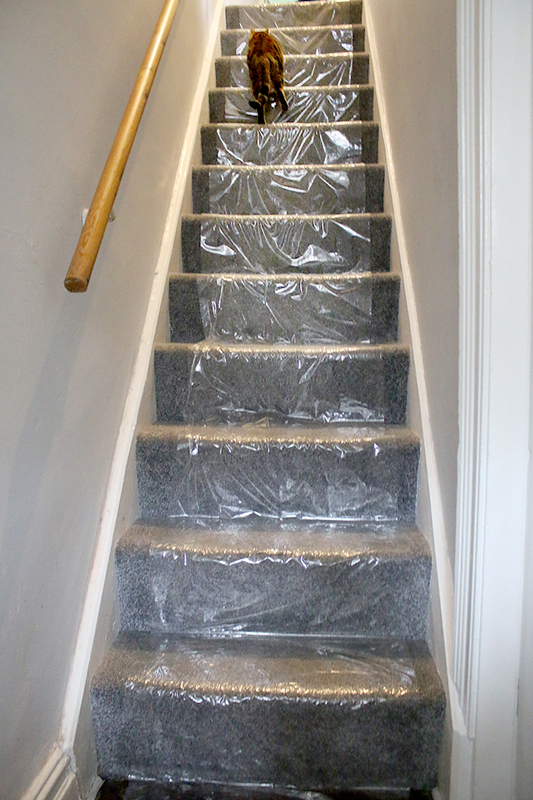 On Thursday, bright and early, a van pulled up outside the house and the first thing they did was lay plastic sheeting on the stairs which I thought was really nice. Within 15 minutes, 5 incredibly polite beefy guys headed up by a lovely and good-humoured chap called Carl descended on the house and my home transformed into a very well organised collaboration of packing up everything that remained. They loaded up one full truck by early afternoon. 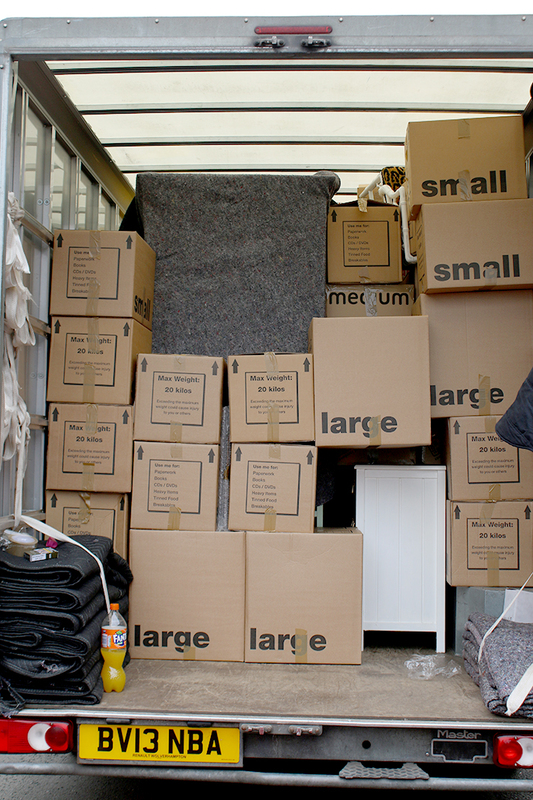 It was incredible how they made use of every last inch of that truck, like a giant game of Tetris! The following day, they were back early in the morning. It was moving day and it was the last final push before we were off. A couple hours in and I could see the guys were starting to get a little worried. Despite the fact they were doing all they could to utilise the space efficiently, it looked like we were going to run out of room on the trucks! Nick popped by to check on the progress and arrangements were quickly made to get another truck to us to handle the excess. I think the initial estimate was actually a bit too low but they made quick work of sorting the issue on site without much interruption. Half an hour later, another truck showed up and they were able to finish loading. I tore around the house, finishing the last of my cleaning and said my wordless goodbyes to this house which we have poured so much love into. It was a bittersweet moment as I grabbed my camera to shoot the empty rooms, knowing this would be the last photos I would take of it. Without all of our things, it didn’t feel like ours anymore really. By this time, we’d heard back from our solicitors that we’d exchanged contracts! So Wayne and I loaded up the very last of our things, put the dog and two cats into the back seat of the car and ran over to the estate agents to drop off our keys for our buyers. I found our buyers there already, eagerly awaiting the transaction. I laughed at their obvious excitement, handed over the keys, congratulated them and gave them a hug. It was nice to do that, it really felt like closure. 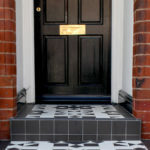 I always said we were only there to look after the house for a short time and that we were simply the custodians of it. And now, it was time to hand over that custodial service to another couple who would no doubt make their own memories and create their own love affair with the house. Later that evening, I saw this Instagram post by the new owner and it made my heart swell. After dropping off the keys, we made our way to Shrewsbury. It was strange knowing it was the last time we would make the journey without returning home again. That Shrewsbury was now our home and we were going to begin our life there. A new adventure awaited us. I didn’t feel sad about leaving the house, the loss outweighed by what we were due to gain in the process. We made our way to the estate agent in town to pick up our keys and then to the house where the guys and 3 big trucks were there ready to offload! This process took a lot less time! 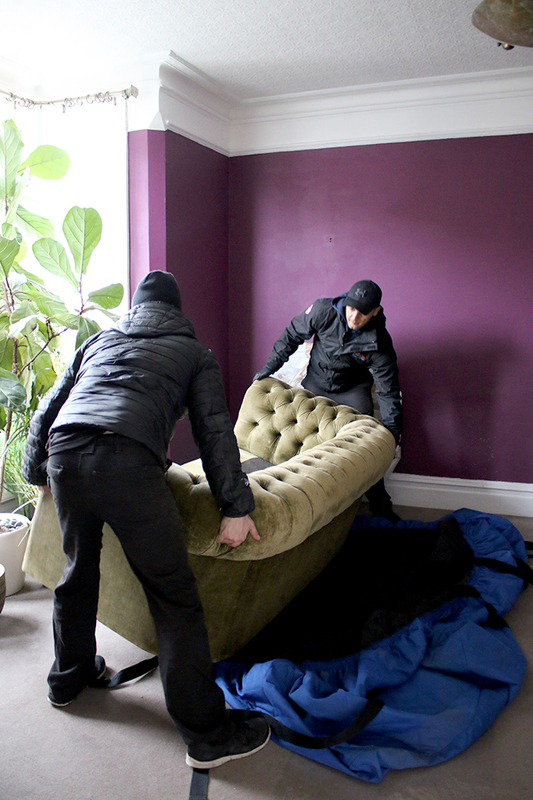 Thankfully, the previous owners had left the house in spotless condition* and it was nice to see the guys from Movingeverywhere immediately go about laying the plastic sheeting anywhere there was carpeting so as not to mess up the floors! 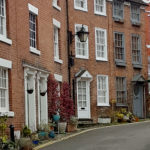 *Seriously, you have no idea how grateful I was to enter a clean house – I have moved into plenty of houses which were filthy and so you end up having to clean on top of unpacking and it’s a nightmare! I was relieved to find that everything came through the door in one piece. Even my fiddle leaf fig was intact and the living room sofa was carefully wrapped up. The dining table and base which I was nervous about transporting had not one scratch or mark and my coffee table – also marble and very heavy – was absolutely fine too! I essentially stood in the doorway for most of the offloading directing the guys to the different rooms where the pieces of furniture and boxes would go. 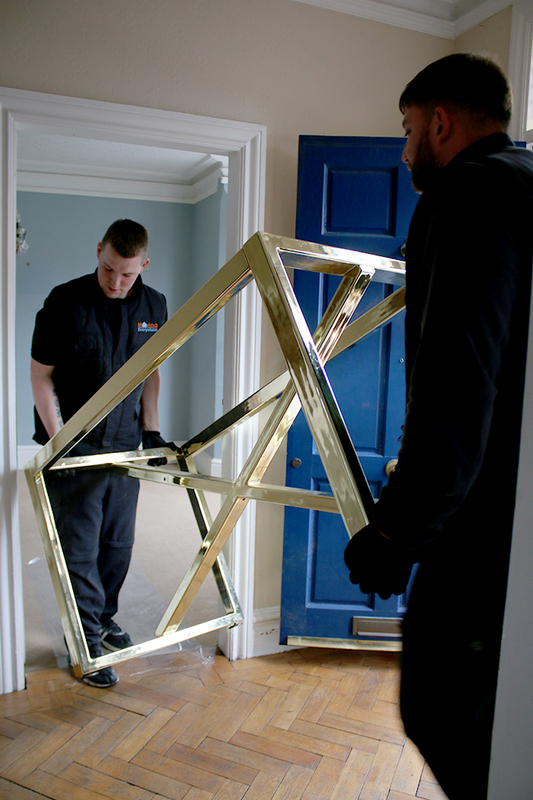 Carl headed up to the bedroom to reassemble the wardrobes while the others made sure everything was offloaded in one piece. They got us fully unpacked within a couple of hours and when we closed the door and said goodbye, it was just such a relief. I admit I was near tears at this point, pinching myself that this big beautiful house was now ours! Of course, that was probably a combination of exhaustion, stress, relief and lack of sleep but still, it was emotional! And I have to say, it was so good to hand over the moving reigns to the experts. There’s no way we would have been able to manage it all on our own and I was so grateful to Nick and the guys from Movingeverywhere that made the process a hell of a lot easier and less stressful for us. 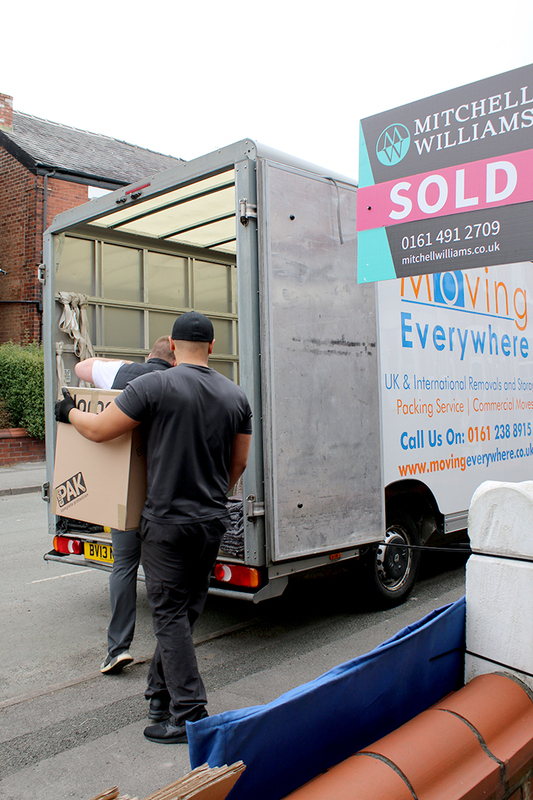 They operate out of the Manchester region and the surrounding areas so if you are looking for a moving company in the North West, I’m happy to recommend them! You can also check them out on Facebook and Twitter. So that was the story of us FINALLY moving into our home! Of course, I woke up ridiculously early the next day, running purely on adrenaline and began unpacking and sorting things out in the new house. I’ve so much more to share with you in the coming weeks so stay tuned! 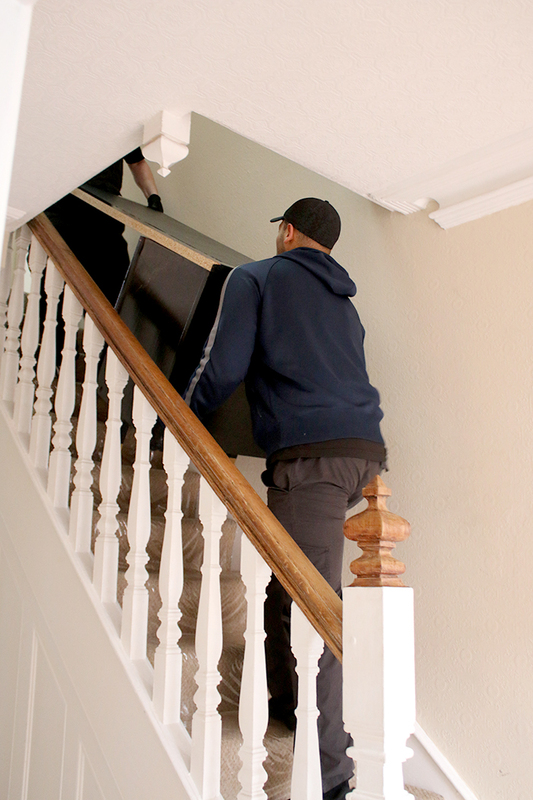 In the meantime, have you ever used a moving company? It was the first time we’d used one and now I’m wondering why we never have before! Disclaimer: I was offered a discount by Movingeverywhere.com in exchange for my honest review. As always, all images, opinions and words are my own. I only work with companies I really like and think you’ll like too! Thanks for supporting the brands that support Swoon Worthy. Moving Diaries Part IV: How We Decided Where To Move! 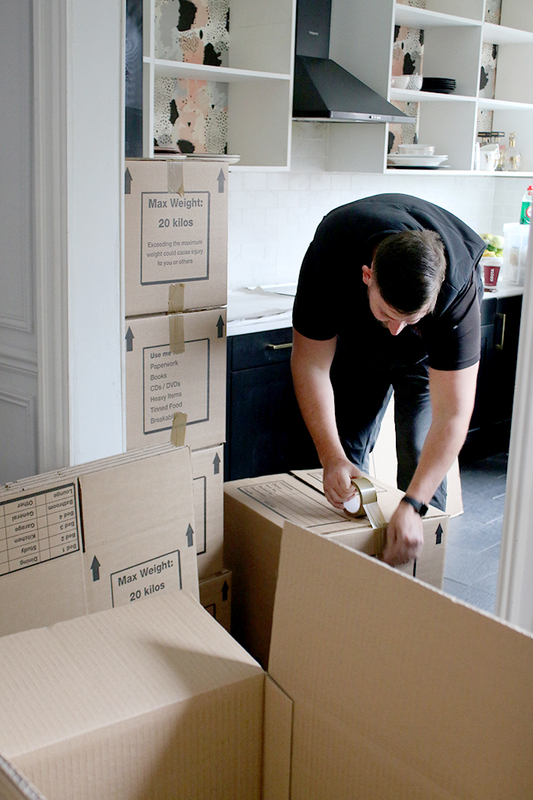 Moving Diaries Part VI: An update on our move! I spend plenty of time scouting out companies and their ratings, because I’m always stressed out, and looking to relieve some of that stress by hiring the right people to do the job! In my company, I had plenty of issues in the IT department, and I ended up hiring atrion services to step in, and maintain all of my IT needs, and they did a terrific job! 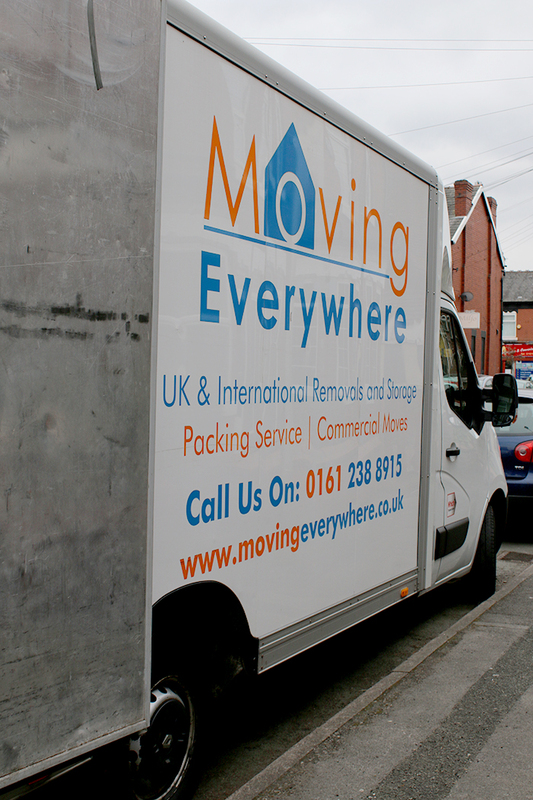 That’s great to hear that you had such a wonderful experience with the guys from Movingeverywhere! I may have to look into them for my next big move! “Without all of our things, it didn’t feel like ours anymore really.”, we felt exactly the same Kimberly! 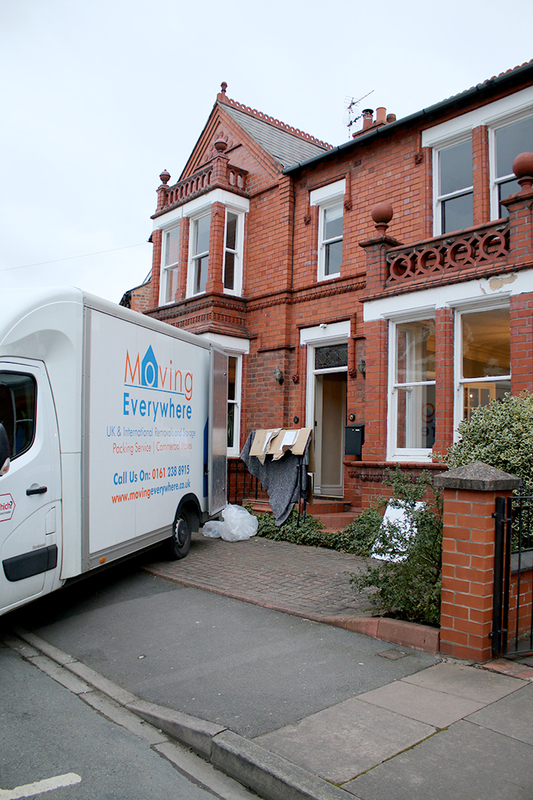 We also used a moving company and we said it was the best money we spent on the house move process. Although i felt such an idiot standing in the hallway directing all the big burly removal chaps into each room! I’ve never used a moving company before either but reading this I think I definitely will if we ever move again. I’d love to have experts on hand who know exactly how to handle the situation efficiently. Moving is such a stressful situation. I’m so pleased you didn’t feel sad about leaving your old home. It just goes to show that you’re totally ready for the next phase of your home journey! I seriously can’t wait for the transformations to begin. 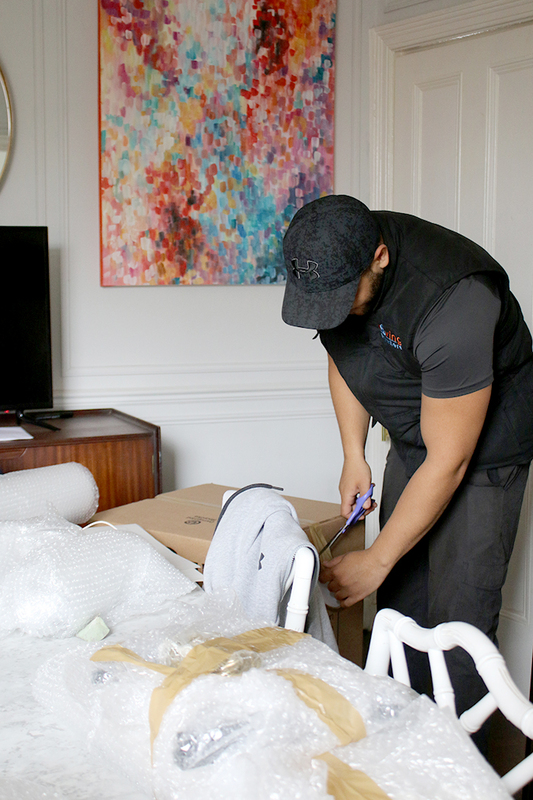 Thank you for the detailed moving experience and honesty but fair disclosure of the review. I agree, having a good moving company will make the experience 10X better overall. Excellent company. I’ve enjoyed reading the post. It is very supportive and useful post. I would like to visit the post once more its valuable content. Great Blog!